BMW’s sophisticated styling and performance are its trademark, but did you know that this upscale car brand builds some of the most reliable vehicles on the market? According to a survey done by the UK’s Fleet News, the BMW 3 Series continues to edge out Audi, Volkswagen, and Honda for the title of most reliable transport for the eighth consecutive year. As a BMW owner or brand enthusiast, you know that those kudos are backed by consistent car care. If the BMW brand has become a part of your lifestyle in Latin-inspired Miami, Florida, then you need to contact Gold Wing Motors, who is a reputable BMW mechanic in Miami, Florida. A shop that does quality BMW service such as Gold Wing Motors will help you to keep your Bimmer in top shape whether you’re touring South Beach with out-of-town guests or running errands in a laid-back suburb such as Kendall. Here are some things that you need to know about maintaining and repairing your BMW in the Miami, FL metro area. BMWs have been on the radar of the world’s auto enthusiasts for years, and these experts closely track the cars’ strengths and weaknesses to determine which systems need extra maintenance and care. You should pay special attention to your BMW’s engine, transmission, and brakes. A reliable engine can be the difference between getting to an important meeting on time and waiting for hours in traffic for a tow truck. Have your trusted BMW mechanic in Miami Florida check your car’s engine every 5,000 miles and before you take long road trips. Incorporate oil changes and coolant flushes into this service routine to keep your engine’s components lubricated and performing optimally. Getting your BMW’s transmission inspected and serviced can save you time and money in the long term. Your BMW mechanic at Gold Wing Motors will let you know the best maintenance schedule for your BMW model and your driving habits; cars that are exposed to heavy, stop-and-go traffic on Miami’s highways often need more frequent inspections. Checking your BMW’s braking system periodically is a matter of safety. Your BMW’s tires and steering are two other important systems to watch closely. Worn tires make wet Miami roads dangerously slippery, and under-inflated tires are known to be leading causes of accidents on America’s highways. A properly working steering system helps you to maintain control over your vehicle even during dicey traffic situations and unsafe weather conditions. Tire inflation should be checked monthly, and your reliable BMW mechanic will recommend that you change your power steering fluid every 50,000 miles. While a car’s air conditioning (AC) system may not be a critical service item for many BMW owners, Miami, FL car owners usually have a different opinion about the matter. Your car’s air conditioning system allows you to survive Miami’s heat and humidity even when you’re stuck in I-95 traffic. Although BMWs aren’t known for developing AC problems, you’ll want to get your mechanic to periodically inspect the car’s refrigerant levels and check its hoses, compressor, and condenser for leaks as a preventive measure. The time to find a qualified, trustworthy BMW mechanic is before your car’s engine overheats or you experience a costly transmission failure. Gold Wing Motors is the premier BMW repair facility in Miami, FL. We are much less expensive than the dealership in most cases, and our expertise is on point. We focus on repairing BMW vehicles, and have all the necessary tools, technology, and certified training to let you rest assured that your BMW is in great hands. BMWs have a strong fan base, and it’s likely that there is a BMW car club in your local area. Members of these clubs are enthusiasts. 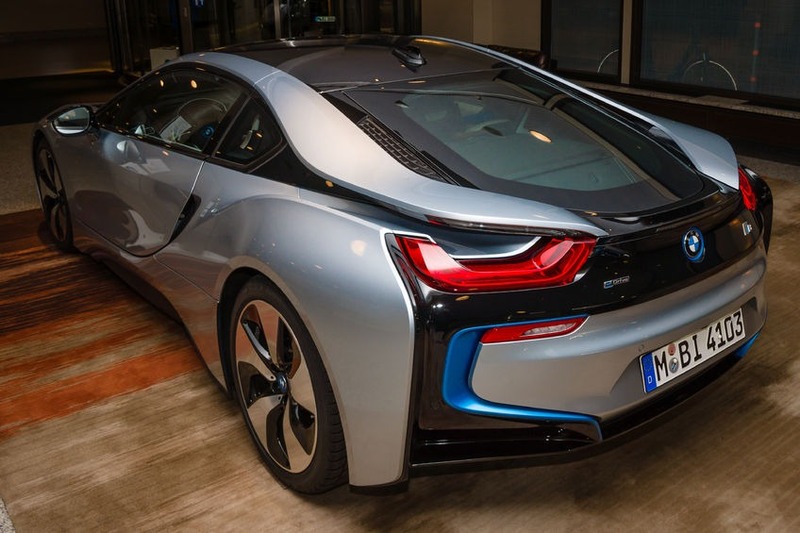 Gold Wing Motors have the most skilled BMW mechanics in Miami, Florida. When looking for a mechanic for your BMW, it’s best that you choose a specialist. This is who you will find at Gold Wing Motors. Our BMW mechanics have credentials that support our claims as BMW maintenance and repair experts. We participate in the BMW Service Technician Education Program (STEP) and have earned our certifications. Take time to meet us in person and you will be glad that you chose Gold Wing Motors! Although BMWs are reliable cars, they are still subject to wear and accidents. That’s when you need a shop that specializes in BMW repair Miami Florida. Your main choices for BMW repairs in Miami are dealerships and independent shops. While many people take their BMW to the dealership for repair, they likely don’t realize that there are better options. Gold Wing Motors offers a highly personalized experience, with well qualified technicians, original BMW parts, and at a fraction of the cost of the dealership. BMW dealerships normally offer consistent products and services that are more expensive than independent repair shops like Gold Wing Motors. If you decide to work with one of our specialists at Gold Wing Motors, you will be very satisfied with your experience with us. We will maintain & repair your BMW to the highest standards. Welcome to the finest BMW repair shop in Miami, FL. It’s common for BMW owners to get over 300,000 miles out of popular 3, 5, and 7 Series BMWs. The key is proper maintenance that’s done regularly. Besides extending the life of your auto, a shop that does quality BMW service in Miami, Florida like Gold Wing Motors helps you to improve your car’s resale value. To schedule an appointment with your friendly neighborhood experts at Gold Wing Motors, give us a call at (305) 447-0144 or fill out the form below with your information and requested services. One of our team members will get back to you as soon as possible to confirm your appointment. Complete The Application Process by Clicking ‘Apply Now’. Or, visit us for your next service or repair. Then, complete the application at our location.